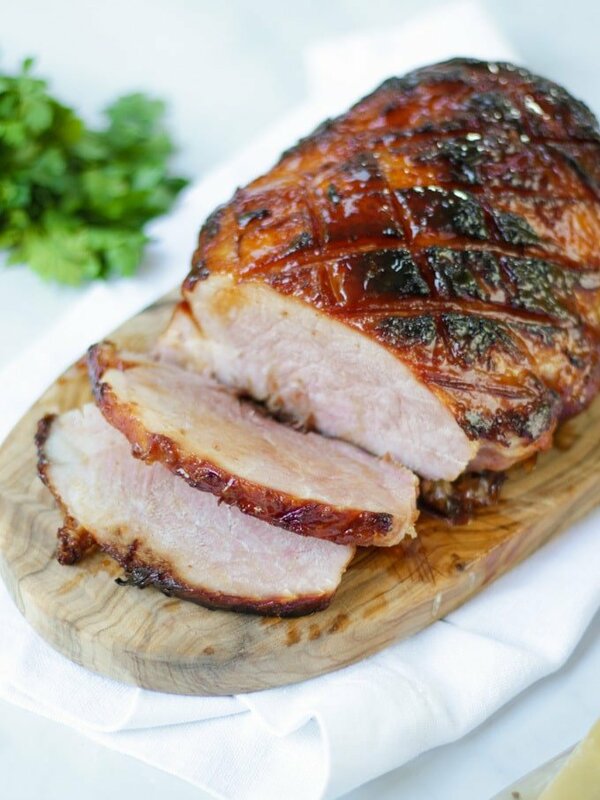 Slow Cooker Ham - How to make the Easiest & Tastiest Gammon Ever! 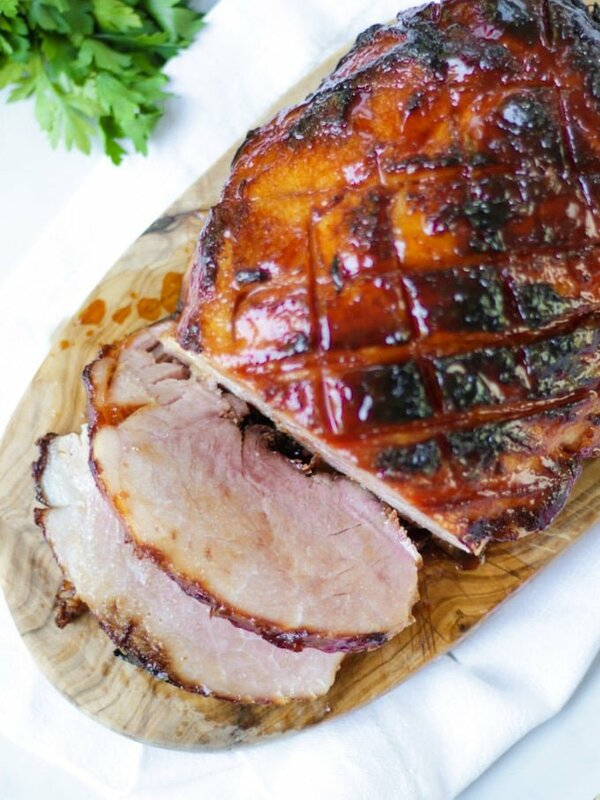 The easiest ever Slow Cooker Ham recipe – A Slow Cooker Gammon joint cooked in apple juice and/or cider with spices for added flavour, smothered in honey, mustard and brown sugar for a delicious outer crunch. I first published this recipe as my Cider Christmas Ham recipe here in 2014. Oh my goodness, that feels like a lifetime ago now. The Slow Cooker Gammon recipe is still just as good though. It’s sweet and tangy from being cooked in apple juice and cider. Deliciously tender with that moreish honey and brown sugar outer crust. What’s not to love?! This year, I just decided to play around with it a little and see it I could simplify it for busy lives. I tried it in the slow cooker (or crock pot if you’re American) and it was a definite winner. I also feel like it’s too good to save JUST for winter or Christmas. This boneless joint would be perfect for any Sunday lunch. How long should I cook a ham in the slow cooker? The beauty of this recipe is it can take as long as you have. If you have ravenous children or were in a huge rush, you can cook the spiced ham on the hob for around 2 hours (see the tips section for more accurate timings). If you are popping out Christmas shopping – there I said it (who else has started theirs?) – you can leave it in your slow cooker on HIGH for 4-6 hours, or if you are out at work all day, on LOW for 6-8. It’s so versatile. 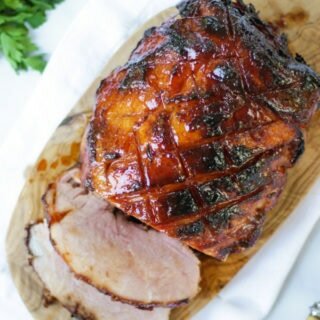 What is the best type of ham for slow cooking? Ham on the bone does retain moisture and keeps its shape well but today I used a boneless joint. It’s easy to handle and easy to carve. It’s personal preference really, just adjust your timings accordingly. I prefer to use smoked ham rather than unsmoked as it gives a greater depth of flavour. However, just choose the best quality, ideally British ham you can find in your local supermarket. Again, in terms of taste it’s personal preference. Use which bacon you’d buy as a guide! How much liquid do you need for a slow cooker ham? I like to almost cover my ham with the liquid as this makes the cooked ham really juicy and moist. 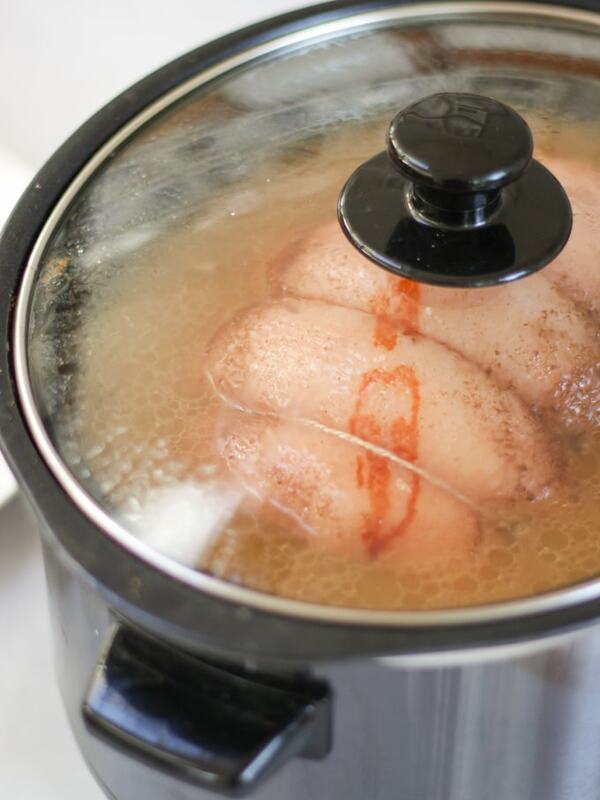 This slow cooker ham recipe uses 500ml of cider and 1ltr of apple juice. You can vary the amount of apple juice depending on the size of your slow cooker. Or all apple juice instead of cider if you prefer to use no alcohol. I bought this slow cooker (crock pot if you’re in the USA) last year and our love affair continues!I’ve never been a big slow cooker fan but this has made such a difference, I’ve used it SO much. It’s light and easy to lift, really affordable too and the pan can be used on the hob as well as in the slow cooker, hurrah! 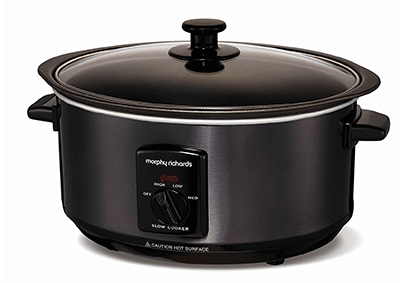 Available from Amazon: Morphy Richards Sear and Stew Slow Cooker.It’s currently about £23 instead of £32. You could also make this recipe on the hob, for this you need to know the weight of your joint. It requires 30 mins cooking per 450g/1lb plus an additional thirty minutes. Then finish in the oven as per the recipe to glaze the joint.If I cook my Christmas ham this way, I tend to work out the total cooking time, then make sure that the boiling time + the oven time = the total so it’s not overcooked. If you are eating the ham cold you can refrigerate it for up-to 3 days before eating, but I dare you to not to keep picking at it! Rather than discarding the liquid you can use it for stock. Ham stock is great for making soups, just test to make sure it isn’t too salty before using. 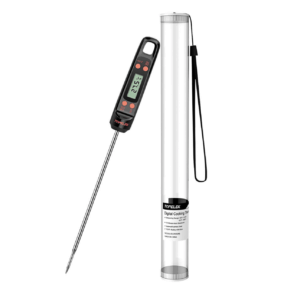 If you are unsure of how to tell if your ham is cooked I’ve invested in a really simple and easy to use digital thermometer. (Only about £6 on Amazon!) It is great for testing joints of meat and achieving that perfect rare roast beef. You could also use different glazes or liquids to cook your slow cooker ham in. I’ve seen lots of recipes using coke, or why not try a black treacle glaze? Fancy some other slow cooked recipes? Have a look at my slow cooker beef curry or slow cooker chicken cacciatore, perfect to leave cooking when at work for a delicious, easy dinner! Hope you enjoy this recipe as much as we do. 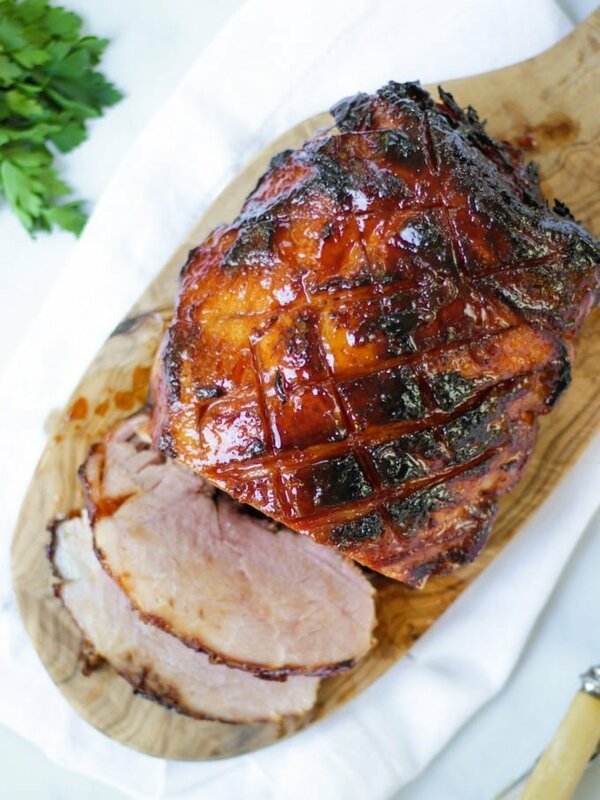 I’d love to know how you got on and what you thought of it if you make this Slow Cooked Ham recipe. Please rate the recipe and leave me a comment below if you do. 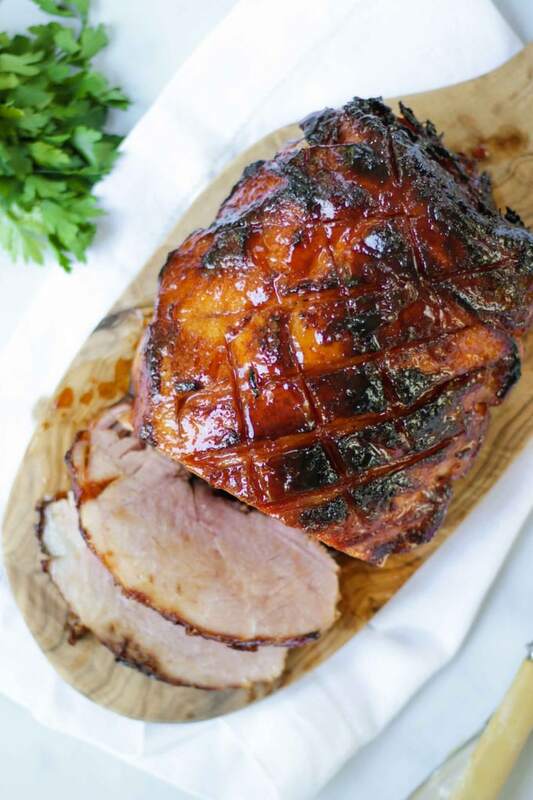 The easiest ever Slow Cooker Ham recipe - A gammon joint cooked in apple juice and/or cider with spices for added flavour, smothered in honey, mustard and brown sugar for a delicious outer crunch. Turn on your slow cooker, this recipe can be done either on high or low depending how hungry you are! Quarter the onion and thickly chop the carrot. Rub the mixed spice on to the ham. Put the onion, carrot and ham joint into your slow cooker. Place the lid on and cook on high for 4-6 hours OR low for 6-8 hours. If you can baste, and turn the joint whilst cooking. When the cooking time is complete, take out of the slow cooker and discard the vegetables, liquid and spices. Remove the string and layer of fat/skin (if your gammon has them). Score the fat. Roast for the remaining 30 minutes at about 200C until the ham is just blackening and crispy at the edges. When cold, store in the fridge and enjoy whenever! Looks amazing! I love Christmas ham too but usually leave mine until the last minute and do mine on Boxing Day! Sounds like your hubby and mine would get along! Thanks for featuring my recipe, gorgeous! I love a big homecooked ham at Christmas, I think it’s better than the turkey! Now that ham looks absolutely amazing, I am going to have to get some of those spice mixes now and get cooking! That ham looks so inviting – I can almost taste it! Never had ham for Christmas day itself bit my aunt makes a great one for New Year. Goodness this ham looks AMAZING! I would like a great big slice or two just now, fried, with some poached eggs please 🙂 Do you deliver?! Totally agree that a ham for leftovers at Christmas is non-negotiable. What a lovely recipe…. I could just reach through my computer for that ham. 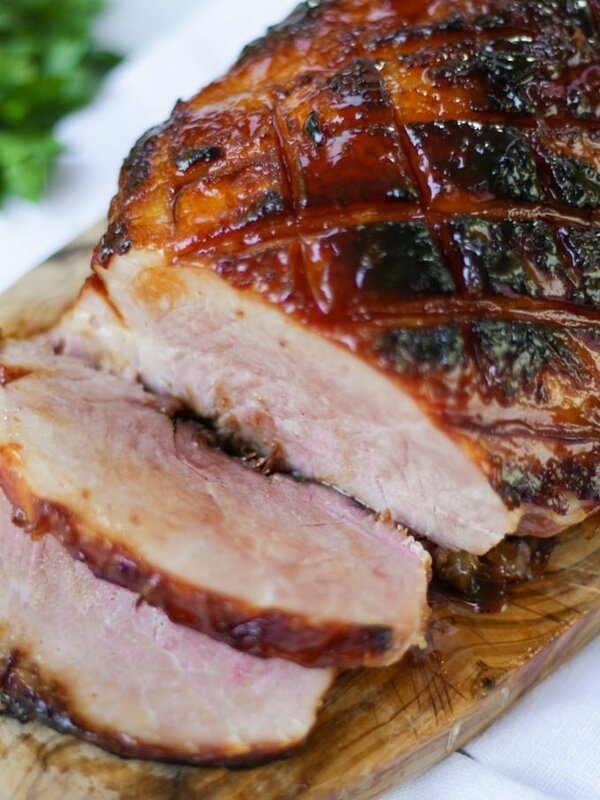 Just finishing this ham off in the oven as I type – it tastes divine! So easy to do … might become a winter staple.